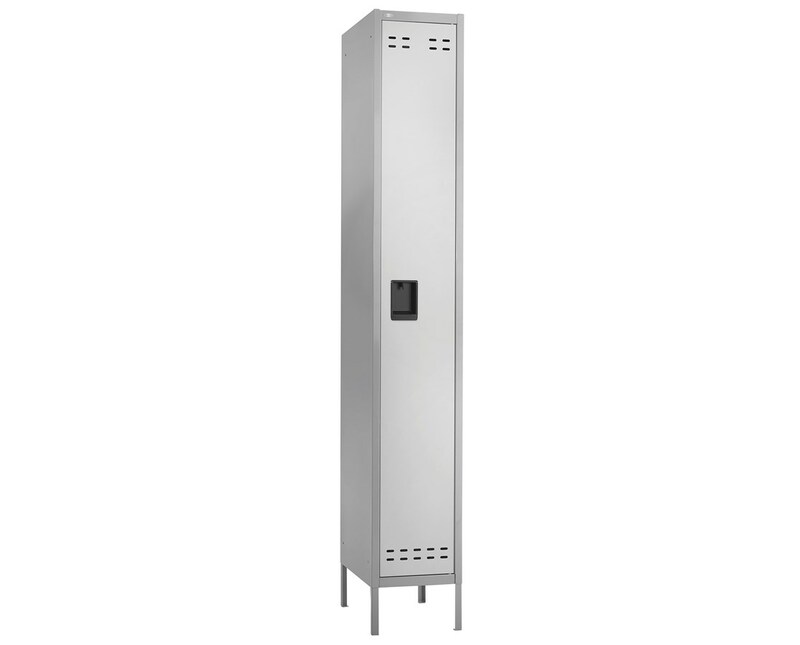 The Safco Single-Tier Locker is a recommended storage unit for indoor areas and other public places like locker rooms, offices and more. 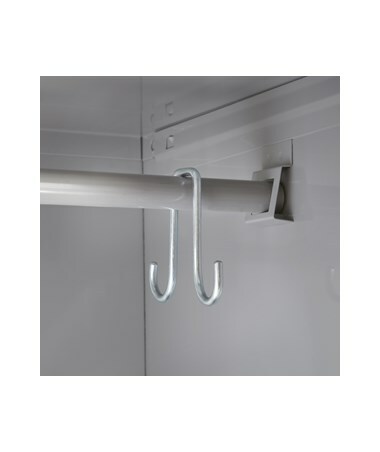 It has a single compartment, a hat shelf with coat hooks, and adjustable hooks for coat rods. 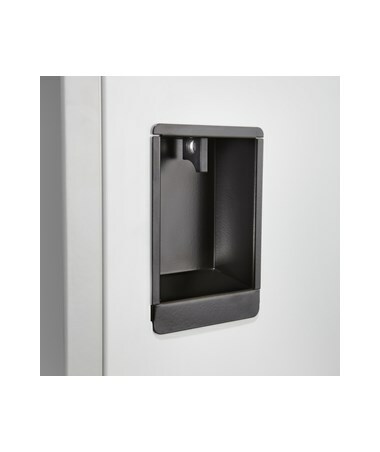 It features an outer surface with a two-point locking mechanism and a recessed handle with padlock slots for utmost security and privacy. 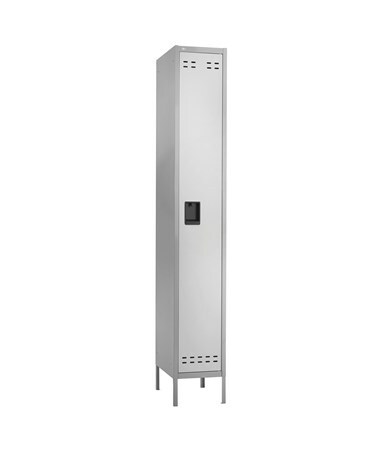 The door has louvers on top and bottom for air ventilation. It also includes four legs that raise the locker from the floor. 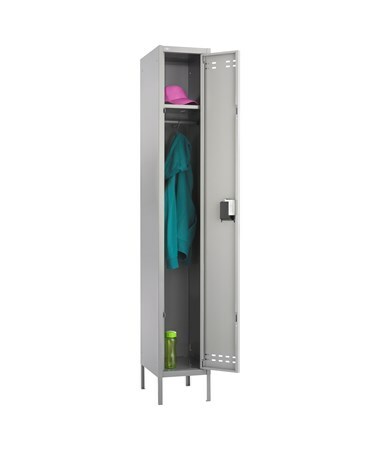 This personal locker is made of heavy-gauge steel with a two-tone powder coat finish and a one-piece design. 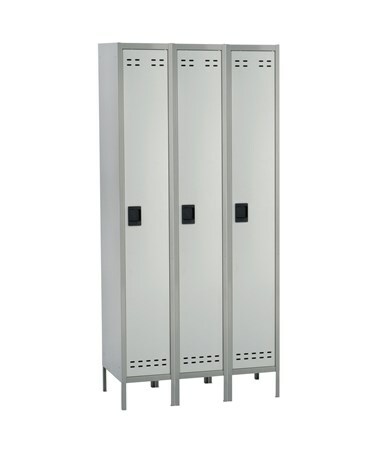 It can be used as a stand-alone unit or linked together with the same lockers. It is GREENGUARD certified for low chemical emissions. 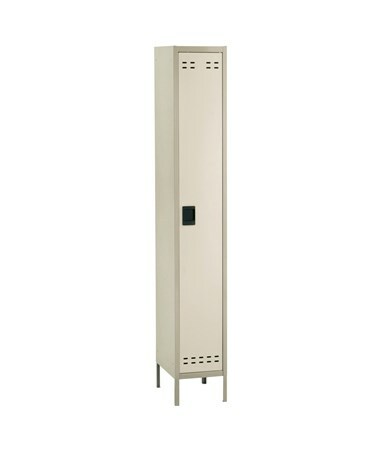 The Safco Single Tier Locker is available in two columns and colors. Please select your preference from the drop-down menus above.